Operating heavy machines can be a dangerous job — even when the equipment is functioning as it should and employees are well-briefed on its operation. After all, there’s a reason why OSHA employs more than 2,100 workplace and site inspectors across the United States. That works out to one compliance officer or inspector for every 59,000 workers in relevant industries. It’s a good thing, too, because the country hosts roughly a quarter-million active work sites every day and almost half-a-million heavy equipment operators in construction alone. That’s a lot of personnel and heavy equipment moving about. Keeping facilities, work areas and incomplete structures monitored for hazards and professionally maintained is one thing, and hiring the right people for the job is another. And it can be all too easy to neglect some of the other routine parts of the job related to safety, including performing safety checks on machines before they start rolling, crawling or lifting. Safety should be the number-one priority on any job site that relies on heavy equipment — and it begins with doing a brief but thorough check of the machine, the machine’s surroundings and even the operator before getting to work. With that in mind, here are four items to always include on your safety checklist for heavy equipment operations. All construction, response or emergency tasks recommend the use of personal protective equipment (PPE) as well as additional equipment if workers are handling hazardous materials. PPE often includes objects like hard hats, protective glasses with side shields, and safety gloves to suit the job. Gloves can range from heavy-duty leather types to chemical protective gloves. American National Standards Institute or ANSI must approve of all protective footwear as well. In the case of more hazardous environments, respiratory protection is recommended. Filtering facepieces can be used against dust, mold or other airborne particles. However, filters with charcoal layerings can keep out strong and overbearing odors. All workers should have proper training for whatever job they’re doing, as well as enough information to work around other people’s jobs. All training should be conducted in a classroom and in the field to offer hands-on instruction. 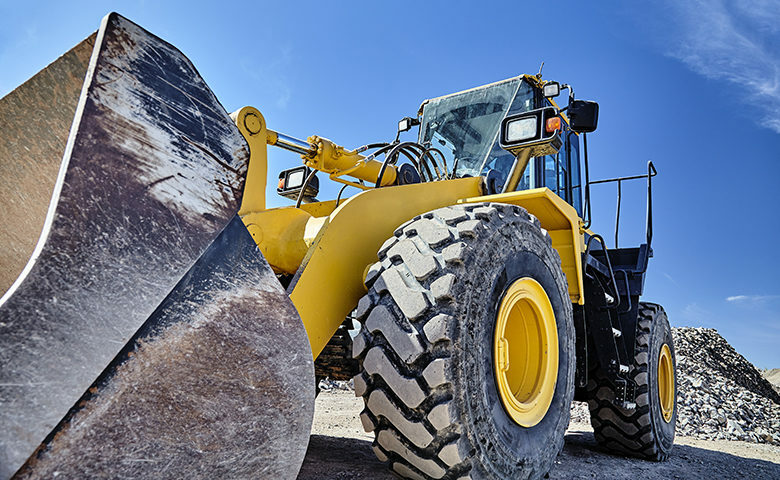 Heavy equipment operators have to know about how to identify hazards, safety features on equipment, mounting and dismounting equipment and how to maneuver on the job site. Keeping up with training is integral. Retraining and refresher courses keep the workforce in prime condition. Whenever a worker is observed operating something incorrectly or not using equipment for the intended purpose, then going back to training can help solve this situation more often than not. Being mindful of the area is another essential part of workplace safety. Keeping people away from the worksite and making sure only properly trained employees are nearby will mitigate the risk of injury. Operators should also be aware of how equipment moves, like the swing radius on a crane or other type of vehicle. However, heavy equipment operators should pay attention to more than just where people are. Overhead power lines should always be taken into account and either deactivated or have barriers placed around them. Workers have to look underground too. Lines for sewage, water, electrical and gas should always be marked and made clearly aware of before any work begins. Before any equipment is used, operators (and potentially other employees) should conduct visual inspections every single time. On vehicles, check tires and tracks. Always check engine oil, hydraulic fluid and other oil levels when applicable. Hoses, buckets, booms and other equipment should be inspected for damage. On equipment like air compressors, parts should be fitted perfectly or else risk injury. Parts that are too loose, tight or fitted weakly may not only affect performance of the equipment but they could also pose a danger to the operators and other people nearby. Being vigilant about inspections every time you enter the work site and use equipment can save lives. On worksites where heavy equipment is being used, there’s a heightened risk of serious injuries and fatalities. Staying safe and aware of the situation will keep the likelihood of an adverse event to a minimum. Things like training and PPE will help save lives and can improve workers’ ability to get a job done on time. Kayla Matthews, a Pittsburgh-based professional development and safety writer, has written for sites like The Muse, VentureBeat, ISHN, and InformationWeek. To see more by Matthews, follow her on Twitter or check out Productivity Theory.